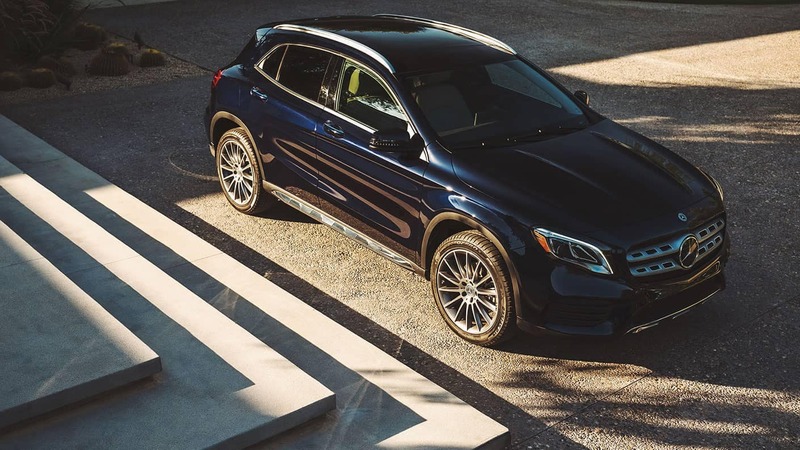 High-performing, sporty, and modern, the 2019 Mercedes-Benz GLA quashes the idea that SUVs can’t hit all the marks. Offering robust horsepower, torque, and available all-wheel drive, this SUV serves as a versatile yet luxurious family vehicle. If you’re shopping for an upscale SUV around Southern California, why not start with the new GLA inventory at Fletcher Jones Motorcars Newport Beach? View our new Mercedes-Benz GLA lease specials, and learn more about the 2019 GLA today. Unlike your run-of-the-mill SUVs, the GLA family offers plenty of horsepower. Motivated by a 2.0L turbo 4-cylinder engine, the series generates anywhere from 208 hp to 375 hp. As you zip down open stretches of highway, you’ll likely forget you’re behind the wheel of an SUV – there’s simply no better way to travel down the coastline of Huntington Beach. 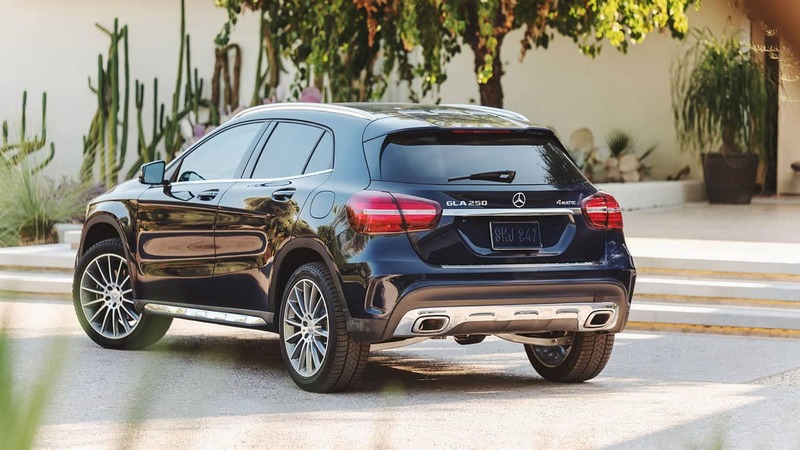 While the 2019 GLA delivers high performance, Irvine and Costa Mesa drivers can expect practical fuel economy, thanks to features such as the ECO-START®. This system automatically shuts off the engine at stoplights or during idling. 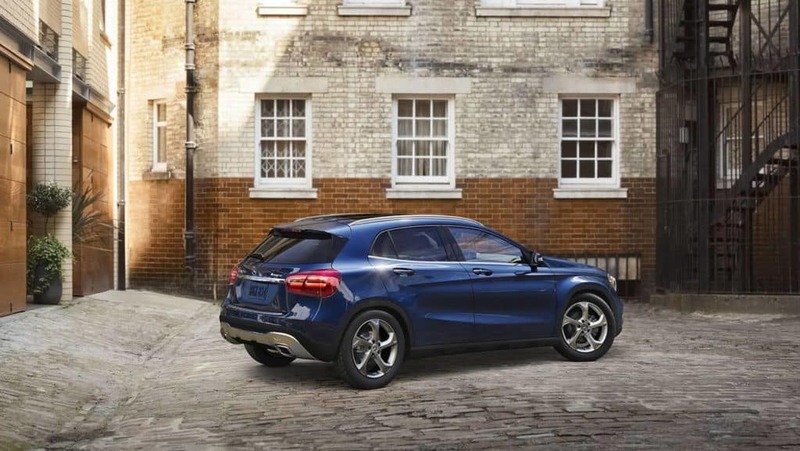 With available 4MATIC® all-wheel drive, the highly praised Mercedes-Benz GLA series offers easy-going handling. 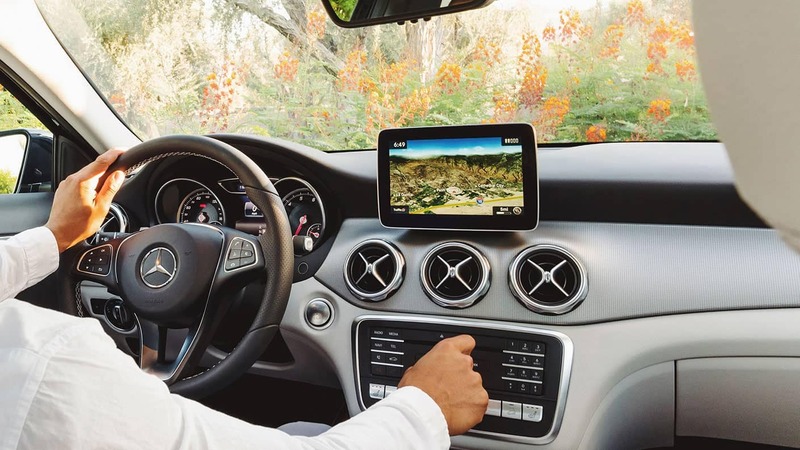 Each GLA SUV comes standard with a 7-speed dual-clutch transmission with shift paddles, delivering both automatic and manual capabilities in one advanced machine. The expertly-designed suspension systems add a sporty touch to handling. What’s more, the GLA includes DYNAMIC SELECT®, which rearranges vehicle settings to deliver the best driving experience possible at the turn of a dial. Featuring attractive trimmings, a Star-stamped grille, privacy glass, an optional panorama roof, and more, it’s easy to see why this series stands out among competitors. Sculpted with faceted contours, the 2019 GLA strides down city streets and highways with flared side sills and wheel arches. Inside, its well-organized cabin ensures driver and passenger comfort, while its 43.6 cubic feet of trunk capacity guarantees plenty of storage. The hooded dash, circular air vents, and flowing center console create a cabin that’s unmistakably Mercedes-Benz. 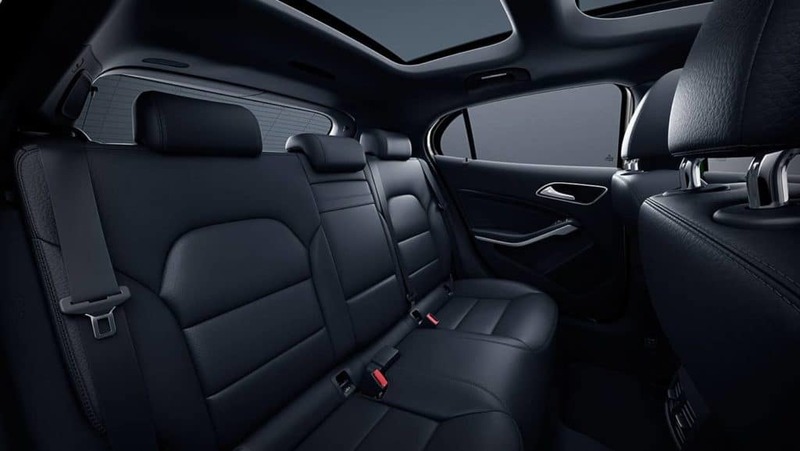 The GLA family’s modern interior includes a wealth of standard convenience features, such as 60/40 split-folding rear seats, power liftgate, 14-way power driver seat with memory settings, and dual-zone climate control. 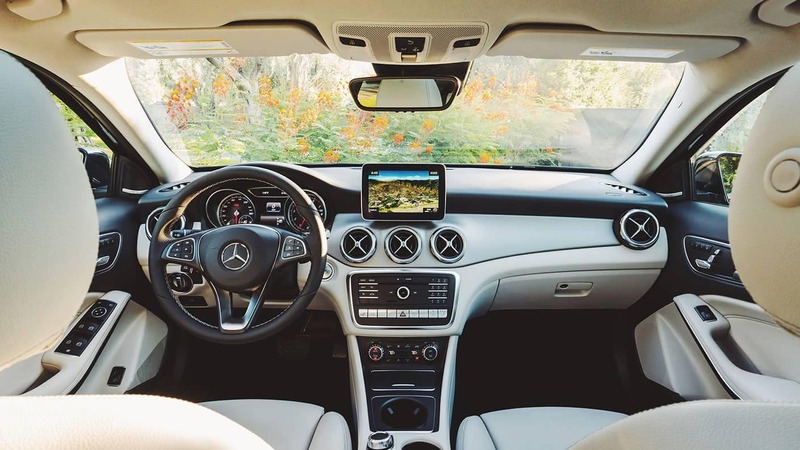 Kick the interior of your GLA SUV up a notch with available features, including heated front seats, a HomeLink™ garage door opener, an integrated compass, auto-dimming rearview mirrors, and more. With so many comfort and convenience gadgets at your disposal, personalizing your 2019 Mercedes-Benz GLA is easy and exciting. Irvine and Costa Mesa families will find plenty of entertainment features to enjoy while on the road. From Bluetooth®* connectivity to smartphone integration and HD Radio™, these SUVs add a flare of excitement to any journey. You can also tack on as many optional features as you want, be it advanced voice control, TuneIn® world radio, or in-car Wi-Fi. Whether you’re running daily errands or heading out of town on vacation, the trademark luxury of Mercedes-Benz will make every mile memorable. 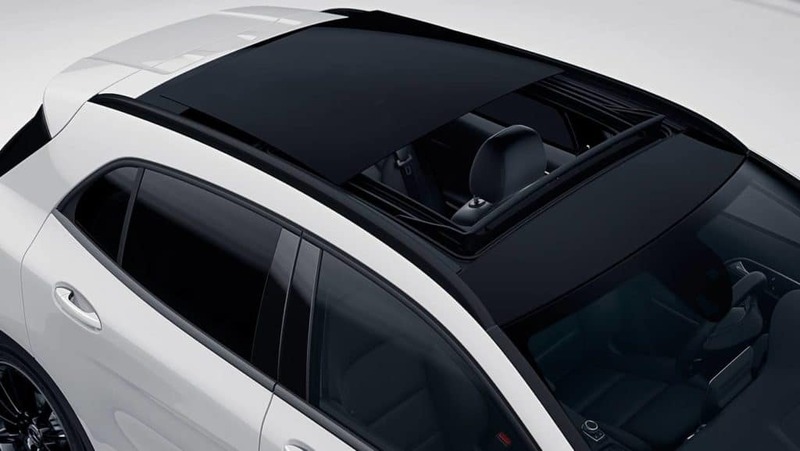 Find the Perfect GLA SUV Under Our Roof! Compare the GLA to competitors, like the the BMW X1. 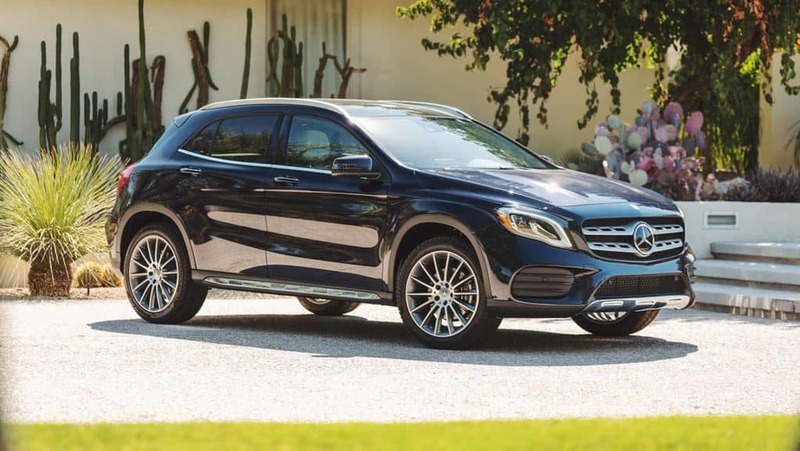 Then, if you’re interested in learning more about the 2019 Mercedes-Benz GLA SUV, contact us at Fletcher Jones Motorcars Newport Beach today. You can also stop by our dealership at 3300 Jamboree Road in Newport Beach, CA!